Shoe designer Marta Jonsson plans to build the northernmost Ferris wheel in the world in Reykjavik. It will be the only observation wheel in the Nordic countries and the only heart-shaped wheel of its kind. The name: Reykjavik Heart. “The idea came from architects I know here in London. They are working on interesting projects and are familiar with the designers of London Eye. I thought how great it would be to have a wheel like that in Reykjavik,” says Jonsson. Jonsson has been living in London for 25 years and has noticed the people that ride in London Eye are mostly families and groups that are meeting up. She believes that recreation for the entire family is sorely needed in Reykjavik. The idea behind Reykjavik Heart is that the family can get together for a fun time. “I had the idea that the wheel would be heart shaped and the architects liked it. I see this as a Reykjavik landmark, a sign of how much we love our city.” The company that will likely build the wheel has confirmed it’s possible to build it in the shape of a heart. Like in London Eye, people riding in Reykjavik Heart will be in capsules, which will protect from wind and cold. The wheel's design is in progress and should be finished shortly. Jonsson’s plans are to start building as soon as the city of Reykjavik gives a green light, the building process will take around two years. “People like the idea, the only worries Icelanders have is the weather!” Jonsson adds laughing. If all goes to plan Reykjavik Heart will be the second Ferris wheel to rise in Reykjavik in the coming years. The Grafarvogur amusement park is aiming to import a giant Ferris wheel, the height of an eight story building. 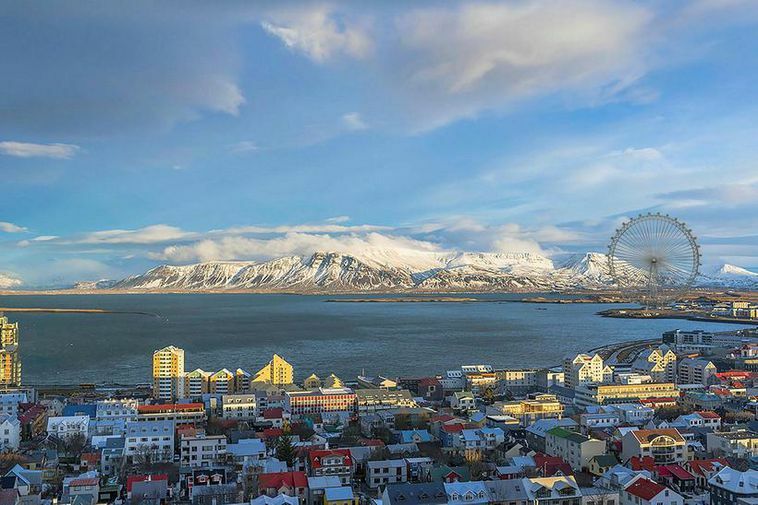 Speaking to mbl.is, owner of Skemmtigarðurinn Eyþór Guðjónsson says that the idea is to set up the Ferris wheel at the park, located in Grafarvogur, for three weeks, and then at a location in central Reykjavik for another three weeks. It will open either this summer or next year.